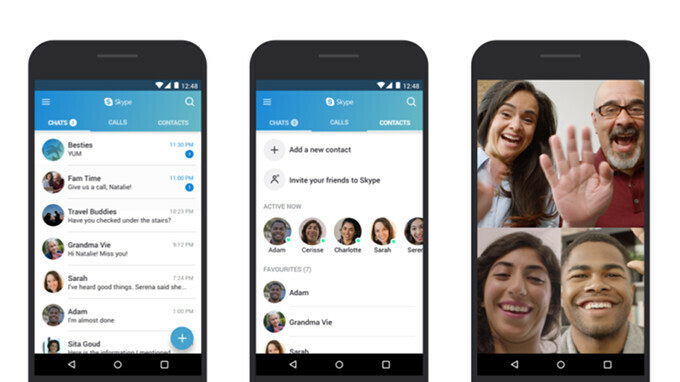 Great news for Skype users who still own older Android devices, as Microsoft has just announced the application has been specifically optimized to work smoothly on devices powered by Android 4.0.3 to 5.1. It appears that Microsoft will kick off the roll-out of the update in the next few days, but it will most likely take weeks to arrive in all regions. So, if you don't see it on your Android device soon, don't worry and be patient. Those who absolutely must have the new version of Skype before it goes live, can sign up for the Skype Insider Program and take advantage of the new experience offered. Oh good, because they couldn't fix it the last 20 times im hoping NOW will be different. Skype is almost as bad as the Facebook apps. Constantly attempting to restart in the background despite logging out and being hibernated. No thanks. Skype is the definition of an unoptimised and buggy app, mobile and desktop. I'm forced to use it at work and it has become a nightmare. Maximum peoples are using FB and Whatsapp for messaging, calling, Status and Posts. So why should they use Skype for same purpose. I think most people have issues with the mobile version especially since this is a mobile site. Hangouts is actually better than Skype but has been mishandled badly by Google over the years. I get a chance to face an interview2 with this update of Microsoft. Such a great update that I found, Skype can use for any purpose but I have some bad experience with my laptop so I get help from System Thread Exception which is really helpful to me.